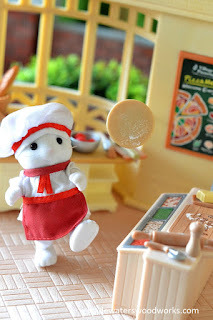 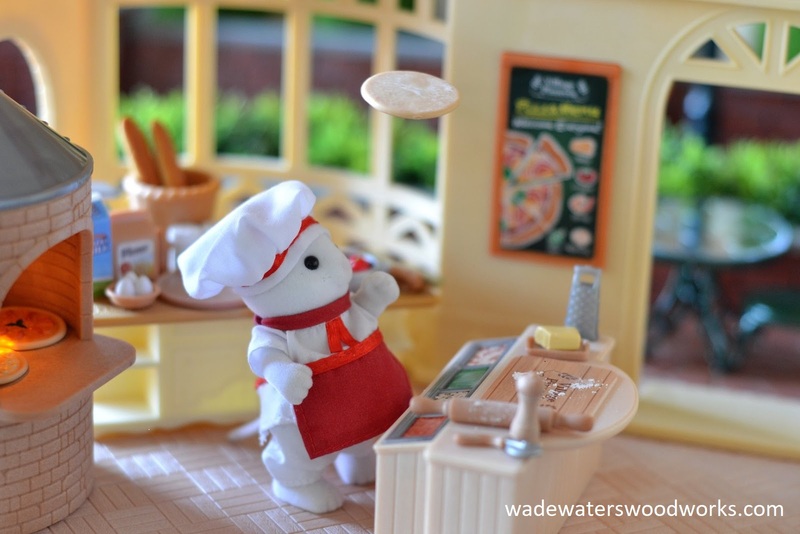 Spins, toss and kicks the pizza dough high up in the air. 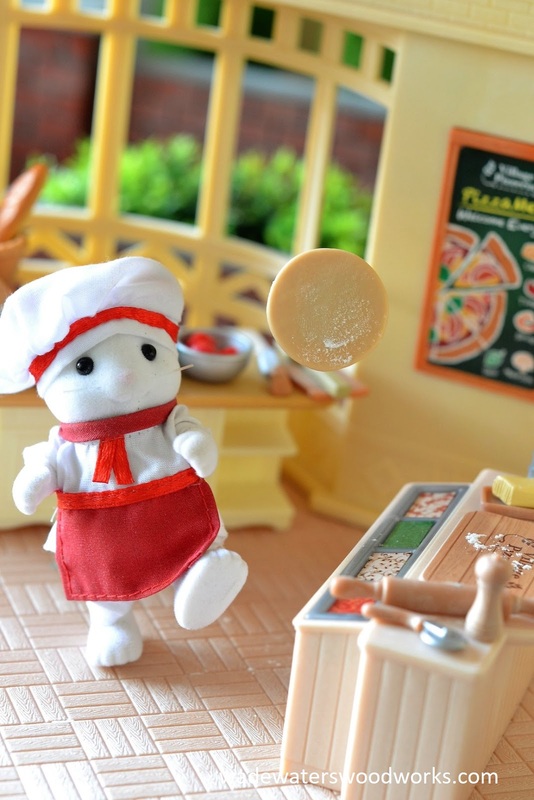 Hickery Hawthorn rolling the pizza dough over his arm. 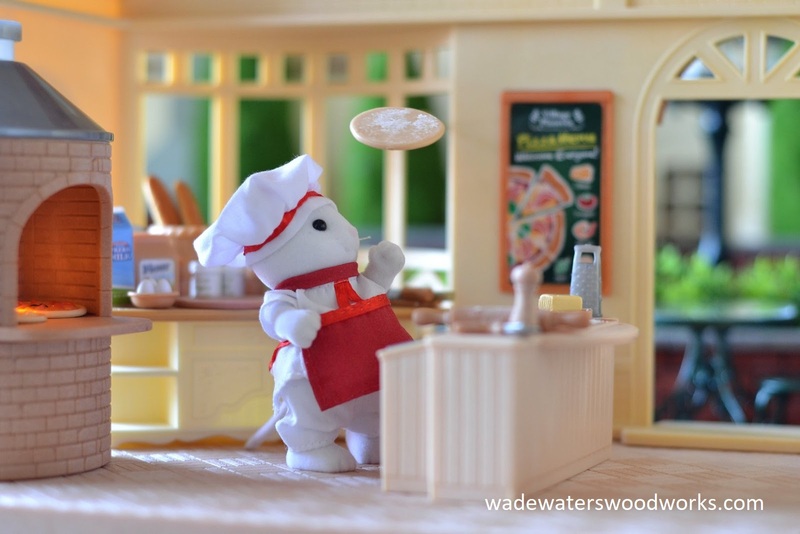 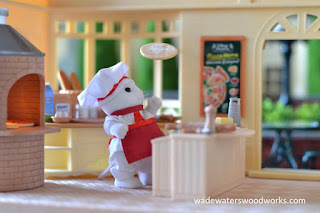 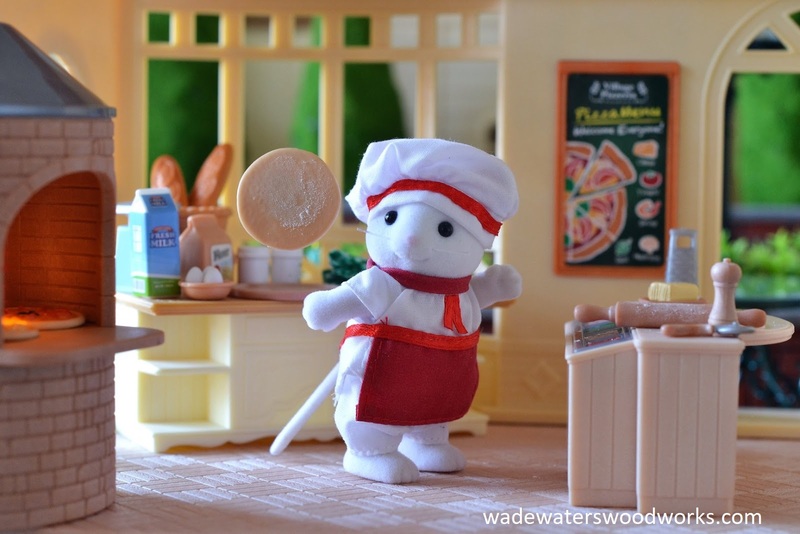 Showing off his pizza dough tossing skills.